A 80s Pink Sun Visor Hat including a transparent Pink Sun Visor Hat with White Trim – Ideal for a 80s theme, Neon, Pub Golf, Comedy, or any fancy dress occasion! Complete your 80s outfit with this fabulous 80s Pink Sun Visor Hat. This brilliant 80s Pink Sun Visor Hat comes complete with a transparent Pink Sun Visor Hat with white trim details to complete this accessory. This amazing 80s Pink Sun Visor Hat also features an elasticated back for a flexible fit. Perfect for a 80s theme, a Neon theme, Pub Golf, or any comedy fancy dress occasion, you’ll be sure to stand out with this 80s Pink Sun Visor Hat! 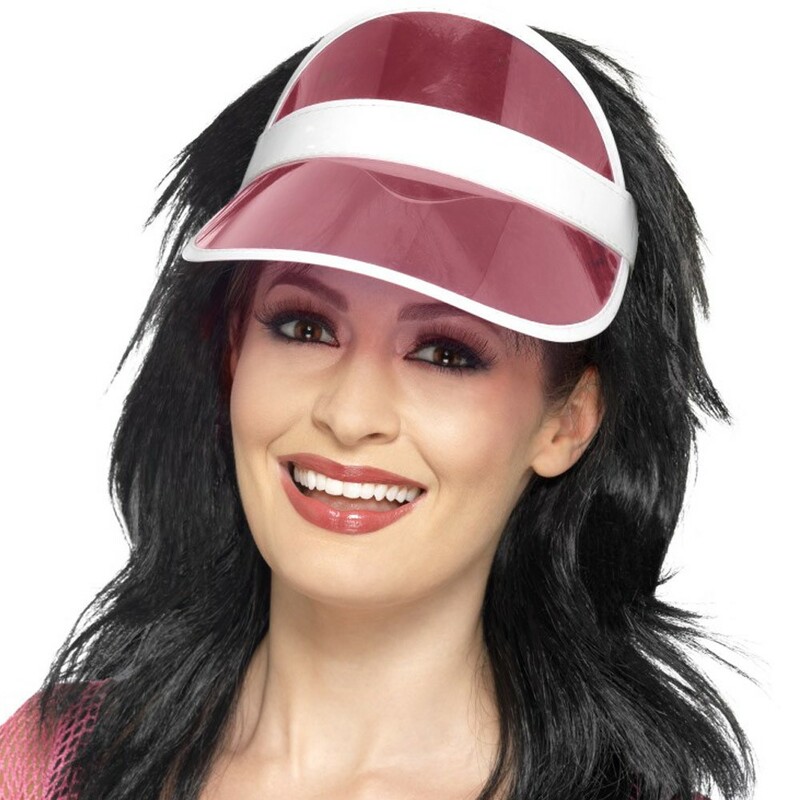 So transform any look with this fantastic 80s Pink Sun Visor Hat. An 80s Pink Sun Visor Hat.